Ceiling Fan Replacement for Indianapolis and beyond. Highly rated! 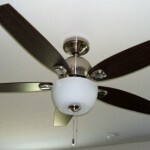 Wanting to replace a Ceiling Fan or looking for a Ceiling fan installation? I can do it for you during the day, after 5pm and even on the weekend. Hours are 10 to 8 pm M-Fri, Saturday 10-6 pm, Sunday by appointment. In addition to flexible hours, i install it for a great labor price! (ceilings up to 10 feet only). 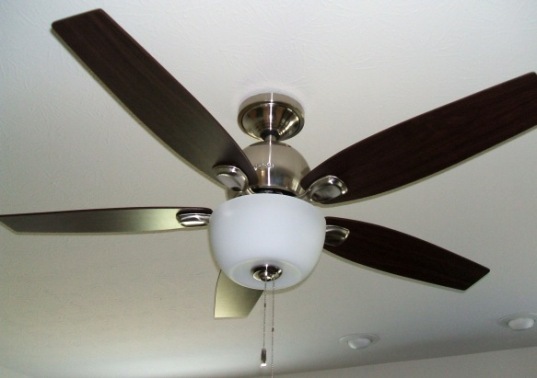 How long does a ceiling fan installation take? 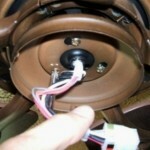 To replace an existing fan or install yours where an outlet already exists, it usually takes 1 to 1 and a half hours. For me to do an efficient installation, please make sure that any furniture is moved from the area. If a table or couch is too heavy to move yourself, i will be happy to assist. How much will it cost to replace my ceiling fan? If you live in Fishers or Indianapolis/Marion county, the cost is $ 80.00 (ceilings up to 10 feet only). Other areas include Carmel, Westfield, Avon, Brownsburg, Danville, Greenfield and even south of Greenwood ( small additional charge may apply). What is the warranty on the installation? 2 years on the labor. Warranty on the fan itself is through the manufacturer. If you purchased an “extended warranty” it may be handled where you bought the fan. So, whether you are moving out, moving in, or just want to update, contact me for a no fuss, no worry, ceiling fan installation. For winter operation, use the directional switch on your fan to make the blades move clockwise (in reverse). Slow speed is best. You don’t want to cool down the warm air. 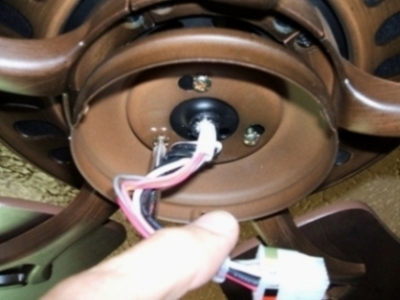 For summer operation, use the directional switch to make the fan blades move counter-clockwise (forward). You can tell the direction is correct by standing under the fan. You should feel the breeze blowing straight down on you. Make sure the fan is off before you change the direction. The optimum angle for fan blades is 12 to 16 degrees. Less than 12 degrees doesn’t work as well, more than 16 degrees is noisy.